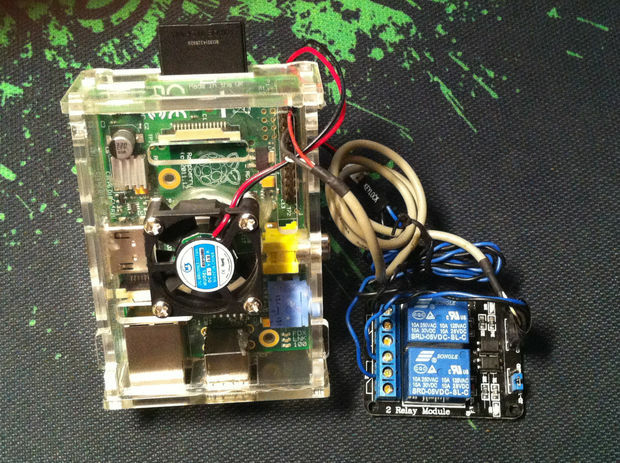 Automated cooling fan for Pi @Raspberry_Pi #piday #raspberrypi « Adafruit Industries – Makers, hackers, artists, designers and engineers! Very cool project tutorial from instructables user Sandbird! A simple design to control a mini 5v fan with python, without the need of a breadboard, transistors etc. All you need are a few cables and a 1 channel relay. I had a 2 channel relay which i recommend, since its almost the same price plus you get an extra controller. A script executing every hour will check the pi’s temperature and turn on/off a fan until the desired temperature is reached.